« Mickey Mantle don’t care about you, so why should you care about him? 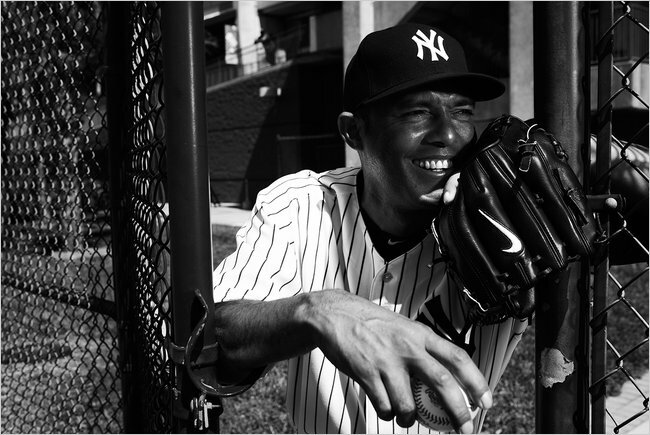 Mariano Rivera is human just like everyone else, but to many of us fans, he seems immortal. He’s not just your average closer. He truly sets the gold standard for closers throughout Major League Baseball. We will probably never see another pitcher toe the rubber that can do what he does. He’s the best at what he does, and is a lock for the Hall of Fame upon his retirement. And what can you attribute most of his success to? His signature cutter, or as Mo likes to call it… “The Kotter.” Mo is 40 years old now, but he has shown no signs of slowing down. It’s truly amazing what he’s done…and you can’t say it enough about him. 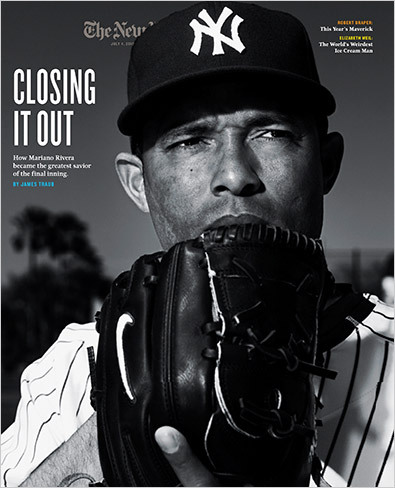 New York Times Magazine ran a great article (by James Traub), called “Mariano Rivera, King of the Closers.” It’s a must read for any Yankees fan. Not only that, but they also include this great video, which explains everything you need to know on how he throws his signature cutter pitch. Last night, i stepped back into my house after a long run. I turned on the radio to hear Sterling call the 9th inning. Mariano Rivera is in the game. He has a 1-2-3 inning. I thought to myself. He’s been doing it since I was a kid. Sitting there drenched in sweat at the age of 27, he’s still doing the same thing. We have been so blessed to have “god” close out our games for us. Remember the stretches of games when mariano was unavailable either due to injury or rest how shaky our games were?